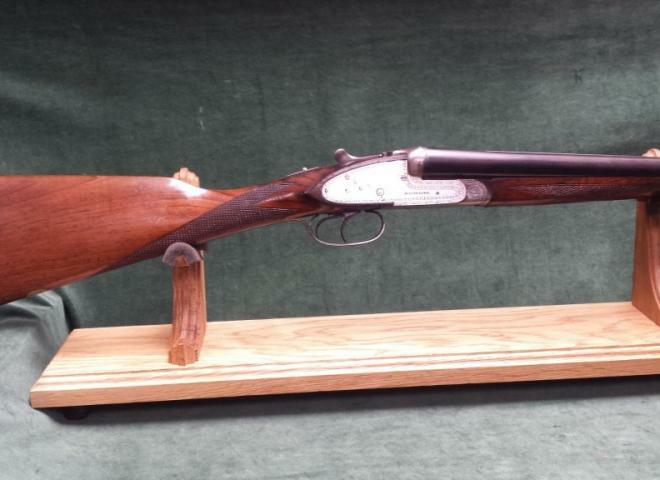 Very good condition, little used, perfect bores 16bore boxlock ejector complete with approx 175 Hull Hi Pheasant 28g 6 shot and 50 1970s Eley Hymax 32g 4shot. I THINK it is choked at 1/4 & 1/2 but I don't have a choke gauge to check it. Normal knockabout dents, scratches and marks in the woodwork. Barrels clean. Silver sabel deluxe in good condition. Sidelock ejector. 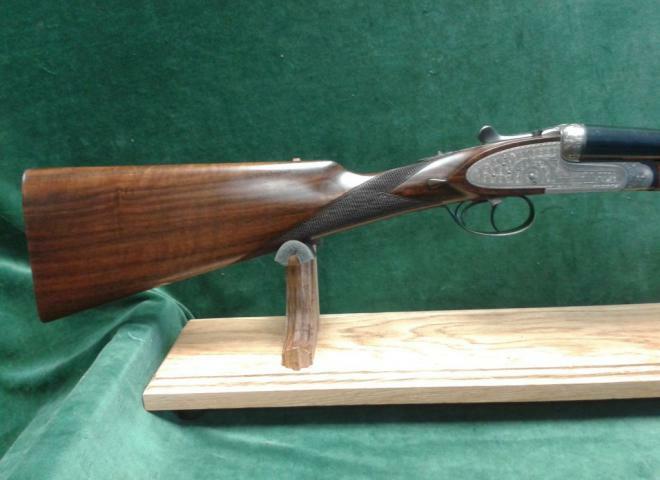 A beautiful game gun. 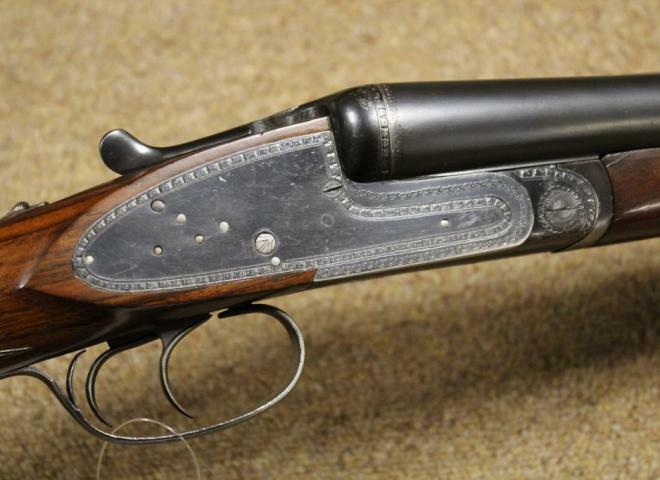 Lovely Gunmark double trigger boxlock non ejector. Bargain part exchange. The gun is also sold with a full 12 month mechanical warranty. Length of pull can be increased to 14 1/2" with supplied wooden extention. 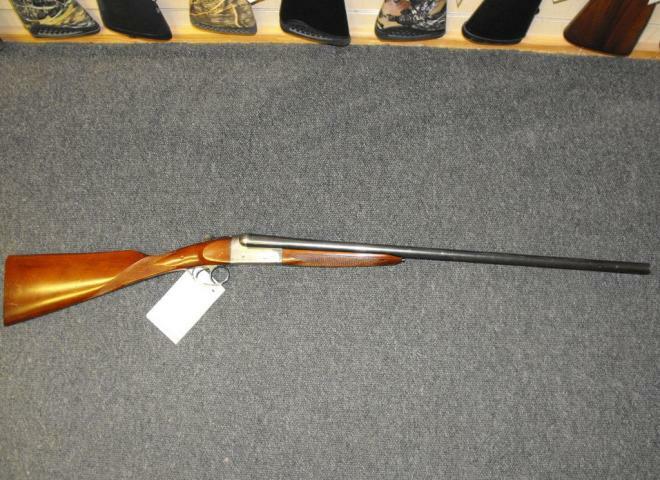 For sale on behalf of customer,no warranty with this gun.Nice clean gun.tight action,auto safe. 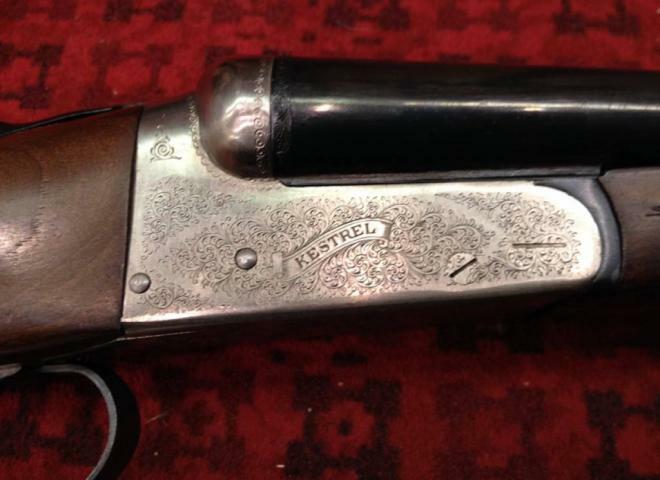 VERY NICE SILVER SABEL SIDE PLATE SHOTGUN. DOUBLE TRIGGER EJECTOR WITH AUTO SAFETY. STRAIGHT ENGLISH STOCK WITH NARROW GAME RIB.